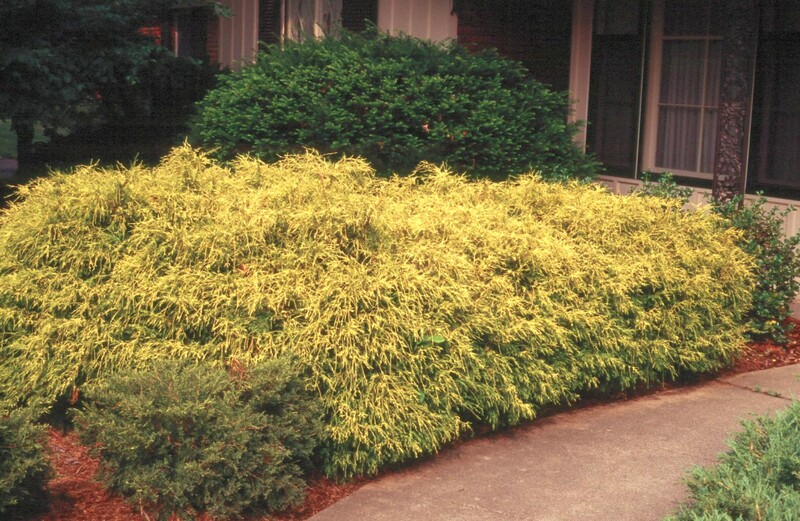 Comments: Bright, thread-like, golden foliage on mounding plant that is a strong accent in the landscape. Often used in foundation plantings in the landscape. When planted in mass forms a ground cover of mounding shrubs.